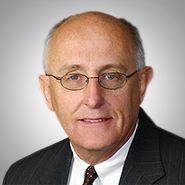 MILWAUKEE (June 8, 2017) – The national law firm of Quarles & Brady LLP today announced that retired partner Michael J. Gonring, who was a member of the Product Liability Practice Group in Milwaukee and served as the firm’s national pro bono coordinator for many years, has been named the 2018 winner of the American Bar Association’s prestigious John H. Pickering Achievement Award. The award, co-sponsored by the ABA Senior Lawyers Division, Commission on Law and Aging, Section of Civil Rights and Social Justice, and the Standing Committee on Legal Aid and Indigent Defendants, honors a lawyer or judge who demonstrates outstanding legal ability and has compiled a distinguished record of service to the profession and their community, resulting in significant contributions to improving access to justice for all. During his legal career, Gonring volunteered his services to organizations such as the Volunteer Lawyers Project of Legal Action of Wisconsin and the Sojourner Family Peace Center. He also served on the Milwaukee Bar Association's Legal Services to the Indigent Committee and chaired the Wisconsin State Bar's Legal Assistance Committee; was a charter board member of the Equal Justice Fund and the Wisconsin Access to Justice Commission; and served more than 10 years on the board of directors of Legal Action of Wisconsin. He was also a catalyst for Marquette University's Mobile Legal Clinic, which goes into underserved neighborhoods to provide legal counsel, and helped create a Lawyer for a Day program in domestic abuse court and the Marquette Volunteer Legal Clinic at the United Community Center, which is staffed by Quarles & Brady attorneys. In 2012, Gonring received the Pro Bono Award for Lifetime Achievement from the State Bar of Wisconsin's Legal Assistance Committee. And, in 2017, Gonring received the Howard B. Eisenberg Lifetime Achievement Award from the Wisconsin Equal Justice Fund. Gonring will be honored during a ceremony in Chicago on Aug. 2.